Today’s employee spotlight features Inez Mello, the Director of State & Local Taxes at Stowe & Degon. 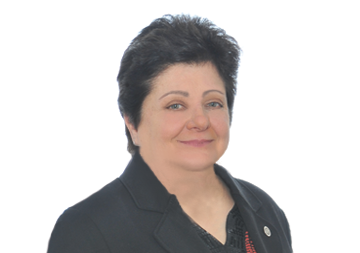 A seasoned tax professional of over 30 years, Inez’s areas of expertise include all facets of multi-state and local tax planning and compliance. This wide breadth of state and local tax knowledge is reflected in the numerous seminars and education symposiums that she leads for associations including CPE, Inc., Lorman Education Services, and the Massachusetts Society of CPAs. Inez is also an editor for the Bureau of National Affairs, Inc. Below, Inez discusses her career in accounting and where she sees the industry going in the next few years. 1. How long have you worked in the accounting industry? I have been practicing multi-state taxes for over 32 years. 2. What are some of your favorite highlights from your career so far? 3. How do you describe your mission when it comes to working with clients? Because state taxes are a niche area within the tax arena, I have to be an educator as well as assisting my clients with their multi-state tax issues. Many of my clients do not know or understand what is creating their state tax filing obligation. My mission or philosophy has always been to gently educate my clients as well as to assist them. 4. What focus areas do you see as having the most potential for growth in 2018 and 2019, and why? Because of the recent (June 21, 2018) U.S. Supreme Court case decision in the South Dakota v. Wayfair case, multi-state taxes will now be the tax area for the most potential growth in 2018. This will be “The Tax Case of the Millennium”. 5. Do you see any trends in SALT happening in the next few years? 25 years ago, the U.S. Supreme Court ruled that a state cannot require businesses to collect sales taxes unless they have a physical presence in the state. In the U.S. Supreme Court case decision in the South Dakota v. Wayfair case, the U.S. Supreme Court has effectively overturned half a century of precedent. The question now is: What does the decision mean for all of the other states? How, or will this decision affect more than just sales tax nexus? I believe the Wayfair Supreme Court ruling will have an empowering effect on state and local taxing authorities and is a call to CFOs and CEOs to review and assess their multi-state tax exposures. 6. How has technology changed the practice of accounting? I have been a professor for about 25 years, teaching both undergraduate and graduate students. I would say technology has given the accounting field the opportunity to be seen as consultants and not just “number crunchers”. 7. What do you see as the biggest challenge businesses will face over the next five years when it comes to accounting? The biggest challenge I see to both businesses and colleges when it comes to accounting is recruiting students and then retaining students in the accounting major. And then recruiting and retaining these students as employees. Currently there is a shortage of accounting majors which results in a shortage of accountants. In my field of State & Local Taxes, especially in light of the U.S. Supreme Court’s decision in the South Dakota vs. Wayfair case, I am concerned for the increased need for the technology and “awareness” that will be required of businesses to accurately prepare their sales tax compliance. have far-reaching effects for businesses, beyond collection and remittance of the sales tax itself. Click here to learn more about Inez.